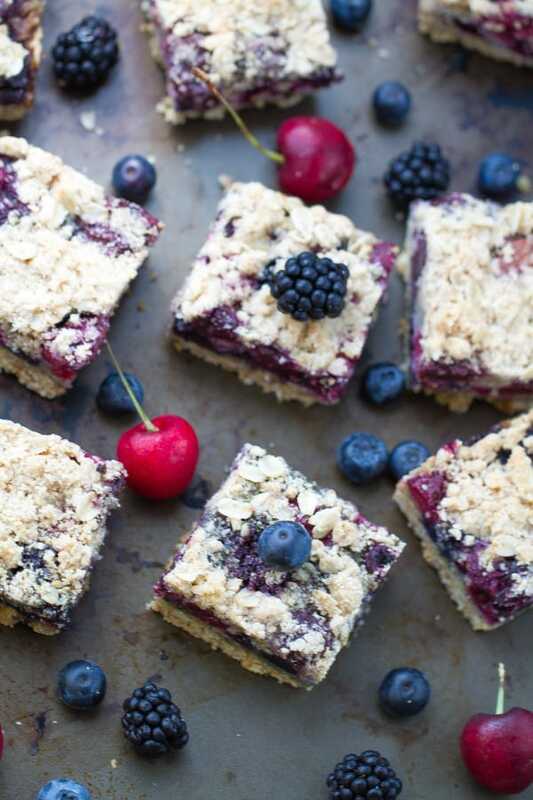 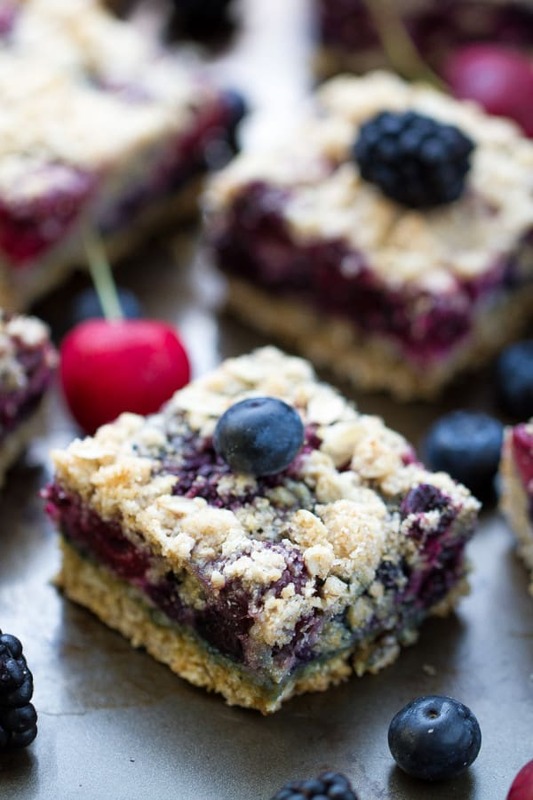 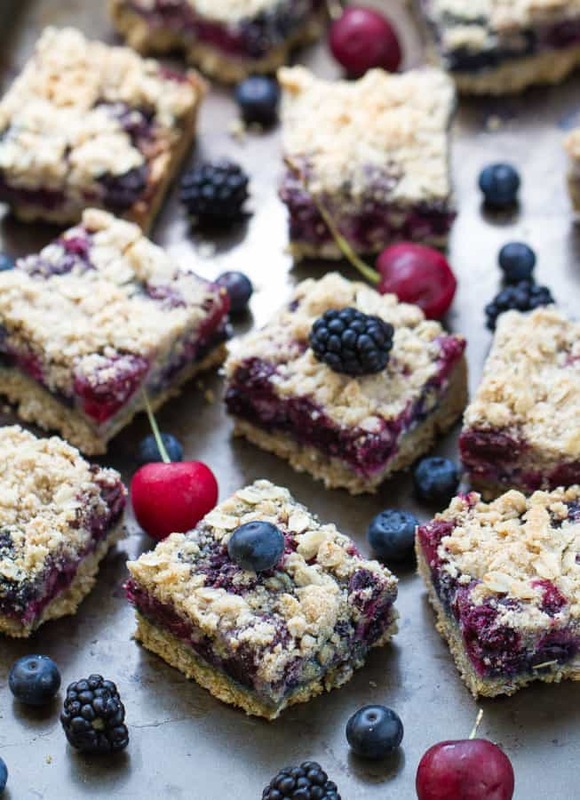 Easy and delicious crumble bars made with fresh cherries, mixed berries and a buttery oatmeal streusel crust & topping. 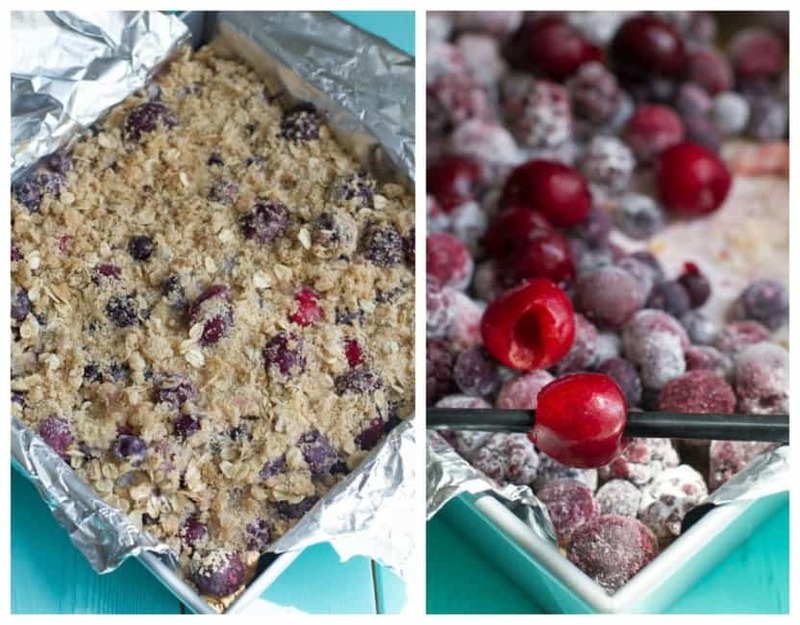 Comes together quickly making it the perfect summer dessert. 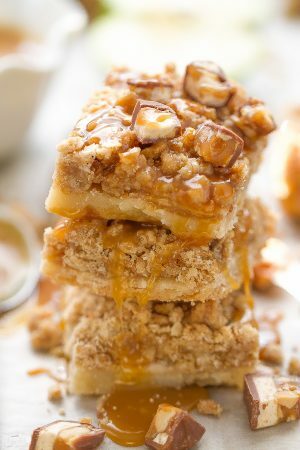 Make the dough: In a large bowl, whisk together the flour, oats, sugars, baking powder, and salt. 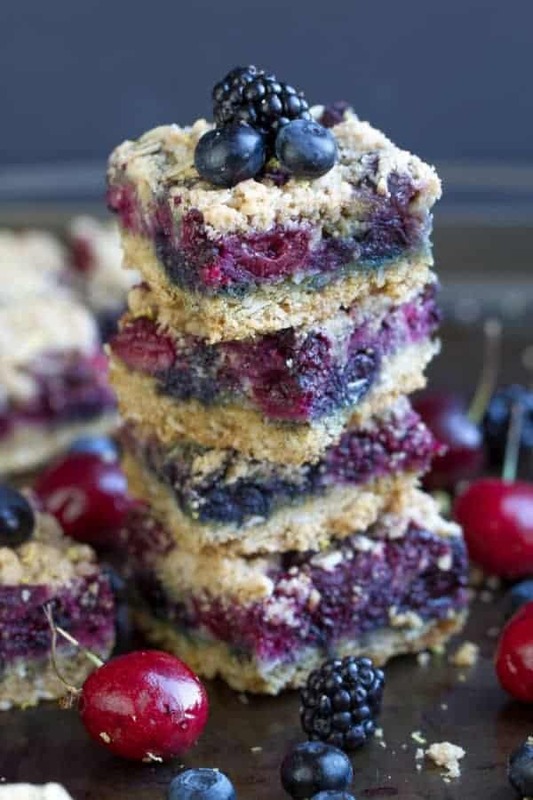 With a fork, pastry cutter, or your fingertips, cut butter into flour mixture together until it resembles coarse crumbs.